A few words can describe a first impression of our clinic: boutique in style, calming, warm & welcoming, nurturing, and educational. Established January 1st, 2007, we have already made an astounding impression on Seattle, Bellevue, Kirkland, and the surrounding neighborhoods treating acne, wrinkles, sun-damaged skin, pigmentation, mole and skin tag removal, weight loss, and a plethora of other skin-related issues. We nurture our existing patients with compassionate care and are currently welcoming new patients to join the CosMedic Skincare family. If you would like to see what some of our Seattle patients had to say about us, feel free to read our testimonials. 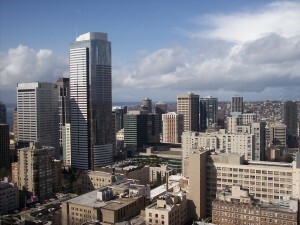 Located on the 19th floor of the Cabrini Medical Tower, CosMedic Skincare and The Center for Medical Weight Loss is conveniently located just Southeast of the downtown Seattle corridor. 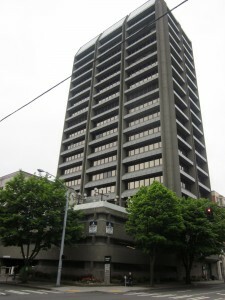 Also known as “Pill Hill” or “First Hill” – we are located among Seattle’s finest medical facilities such as Harborview Medical Center, Swedish Medical Center, The Seattle Surgery Center (with which we share a parking garage) and Virginia Mason Hospital and Medical Center. With a sprawling 270 degree view of the city, the North Cascades and The Olympic Mountains, we hope that the calming view will help to complete your experience with us. For step by step directions to our office from your home, click here. With the exception of special events, CosMedic Skincare and the Center for Medical Weight Loss is closed on Saturdays and Sundays. 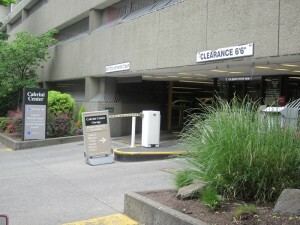 Parking is located on the northwest corner of Boren Avenue and Marion Street and is a pay parking garage called Cabrini Center Garage. There is a landmark sign on the corner that says Cabrini Center; follow the arrow to the garage. Our parking garage is managed by a third party group and the current fee is $4 per hour (this may change without warning and is outside of our control). There is also metered street parking around the First Hill area. Due to high traffic surrounding our neighborhood and limited street parking, we recommend parking in the Cabrini Center Garage for ease and convenience.